Globe greets us in MPLS, originally uploaded by Hugger Industries. 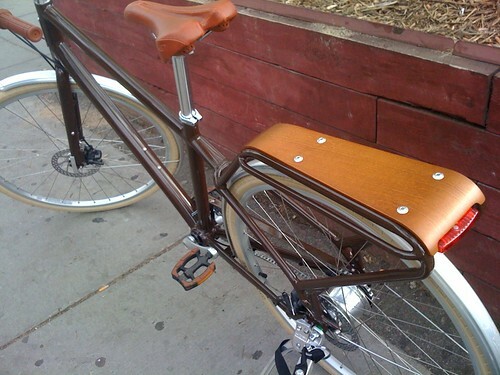 This one has a groovy wood-top rack with an integrated tail-light. The light could be bigger, and visible from the side, bu this is a good start.